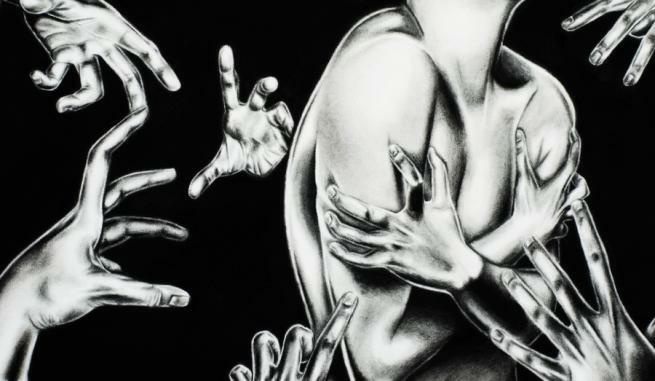 Being touched without consent is sure to make everyone uncomfortable, but when the fear is intense and you simply cannot stand the idea of being touched by strangers, you may be suffering from an anxiety disorder called haphephobia. People with haphephobia become distressed even when touched by friends or family. It is important to get some information about the causes and treatments of haphephobia to manage this condition better. You become anxious as soon as someone touches you. In fact, even the thought of being touched can make you feel anxious if you have haphephobia. You experience panic attacks when someone touches you. You may experience sweating, increased heart rate, tingling, hot flushes, and chills. You do not socialize or go to places where you may be touched by other people. It is important to mention that children may also have this phobia and show certain symptoms. For instance, they may start crying, freeze in position, or cling to their caregiver when someone tries to touch them. In most cases, you do not require any treatment, as extreme fears can sometimes go away without any medical intervention. However, it is worth mentioning that dealing with the fear of being touched can be quite difficult because of social and cultural expectations around touch. You should consider seeking medical help if your fear persists for more than 6 months. It is also a good idea to talk to a professional if your fear is making you avoid the everyday situation. By learning about the causes and treatments of haphephobia, you can put yourself in a better position to treat your phobia. Your doctor helps you in many ways and teaches you coping mechanisms to minimize the impact of haphephobia on your life. You may develop haphephobia after witnessing or experiencing a traumatic event linked directly to being touched. Interestingly, you may not remember that specific event but you may find it difficult to overcome the situation. In some cases, haphephobia is a hereditary condition. Experts believe that if you have haphephobia, you may also have someone else in your family fighting the same anxiety disorder. Watching someone in your family trying to avoid being touched all the time can make you practice the same. It is worth mentioning that haphephobia usually occurs on its own, but sometimes, it may be the result of other conditions and phobias. For instance, your haphephobia may be the result of mysophobia, which is the fear of germs. Similarly, you may actually be suffering from "ochlophobia" (a fear of crowds) and feel uncomfortable when being touched by someone in crowds. People suffering from obsessive-compulsive disorder may also have a fear of being touched by others. Cognitive Behavioral Therapy: You may benefit from this therapy by learning to adopt new thought processes and behaviors. Over time, the therapy will prepare you to manage your anxiety better when someone touches you. Exposure Therapy: The therapy helps you overcome your fears by gradually exposing you to your fear in a controlled environment. The therapy continues for several weeks and even months in some cases. It usually begins by helping you cope with the idea of being touched. You will eventually be taught how to manage your fears when someone actually touches you. Virtual Reality Exposure Therapy: It is quite similar to the exposure therapy, but it takes place in a safe environment where you are exposed to phobic situations or objects without having to risk being in the situation. Beta-Blockers: There will be an increase in the flow of adrenaline when you become anxious, and beta-blockers help block the path of that flow. While the medicine is not going to help you deal with the emotional symptoms of anxiety, it may prove effective in the management of the physical symptoms. Antidepressants: Your doctor may prescribe antidepressants when your fear is severe. These medicines help relax your nerves and make it easier to cope with your anxiety symptoms. Benzodiazepines: This anti-anxiety medication helps manage your phobia more effectively. It is important to mention that it is the fastest reacting medication for anxiety, so it is only prescribed when other treatment approaches fail. In addition to therapy and medication, it is important to educate yourself about different coping mechanisms. For instance, you should learn relaxation techniques to keep your nerves calm. Breathing exercises will help a lot here. Simply take long, deep breaths to reduce anxiety symptoms when you are being touched. You may also benefit from practicing mindfulness because it helps you understand your behaviors and thought patterns in a better way. Be sure to have an active lifestyle and find a good hobby to spend some quality time.